Is this not the cutest little chalkboard? 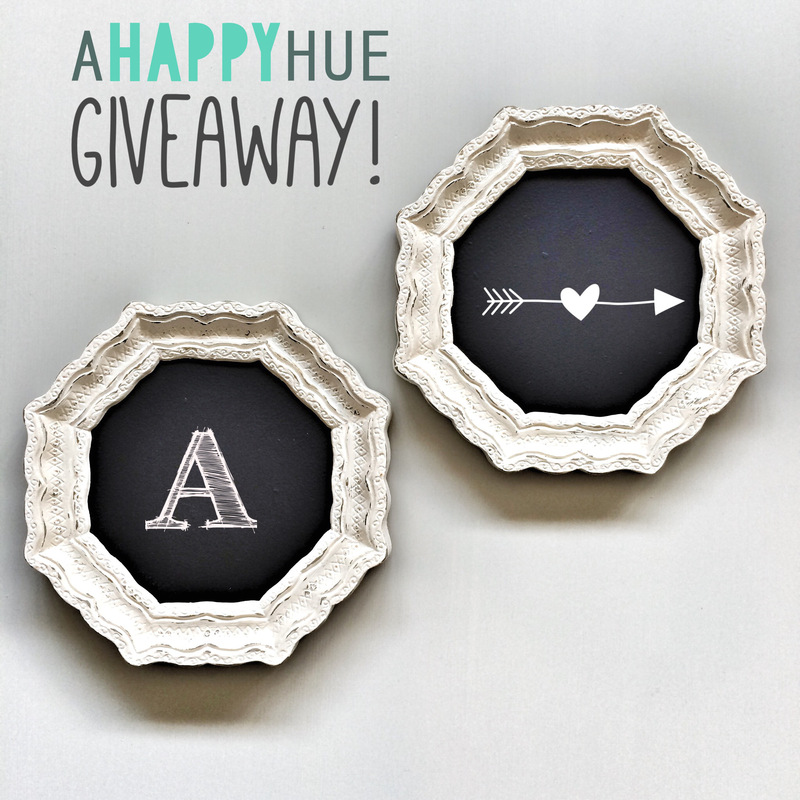 Win one of these mini chalkboards, handmade by A Happy Hue. You have no idea how hard it was for me not to keep this little gem for the gallery wall in my kitchen. 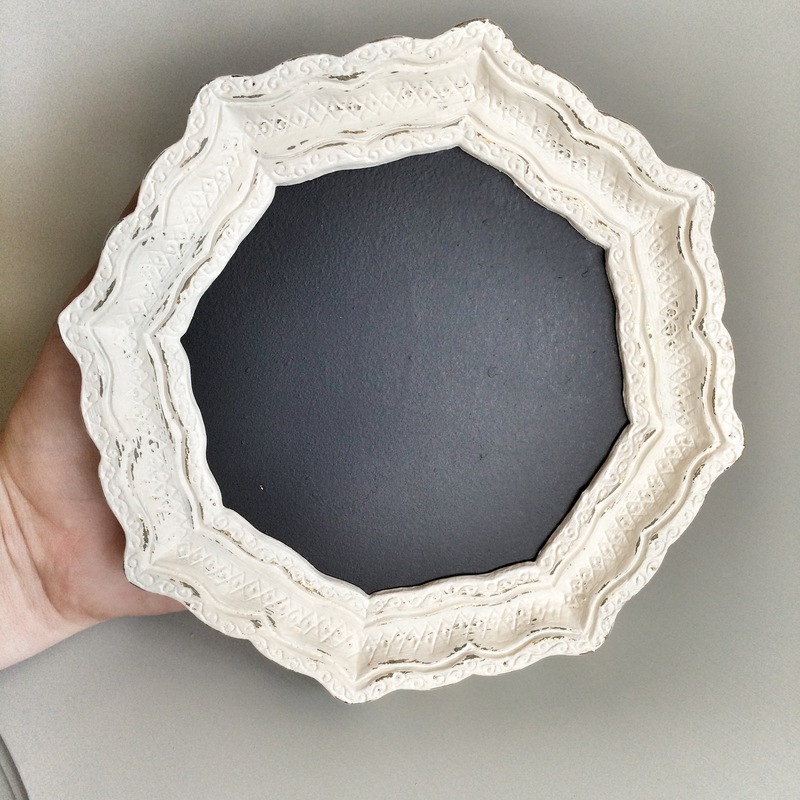 Seriously, it is the perfect size and shape for an eclectic gallery wall, a stylish accent for a vignette, or as a balanced accent when used in pairs (like Him / Her signs for a bedroom or Baby A / Baby B signs for twins!). 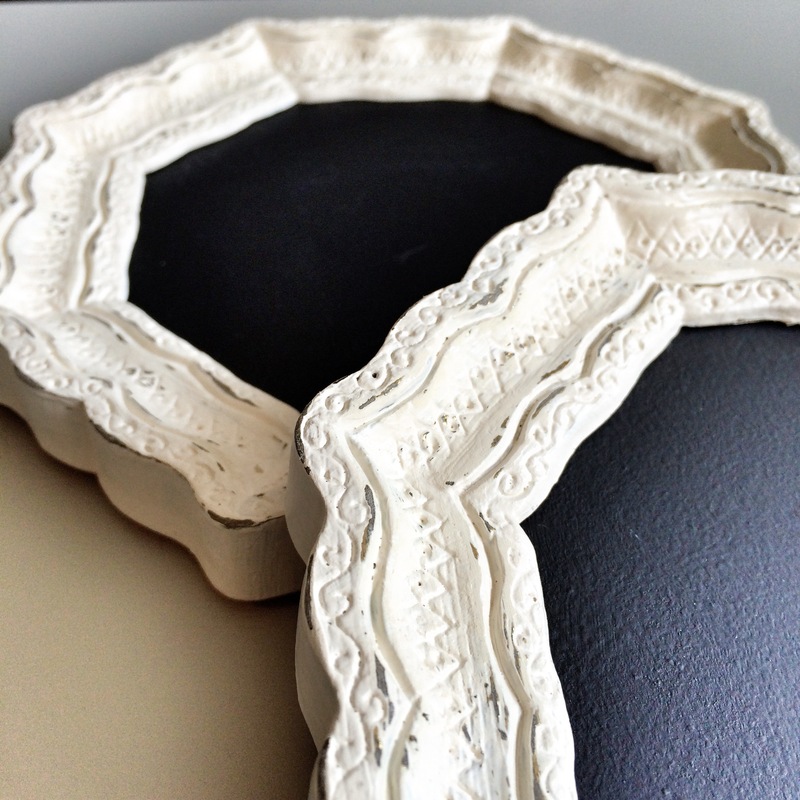 This handmade mini chalkboard is painted in cream-colored mineral fusion paint (Limestone to be exact), with light distressing that reveals the most delicate peaks of gold. So, so cute. And the best part is you can write or draw anything your little heart desires, how often you desire. So many possibilities. And it can be all yours if you win my #followhappyhue sharathon! Now for the details. This giveaway is all about sharing and following, and there are lots of ways to get multiple entries. You can enter this contest three ways: Instagram, Facebook and Twitter. Each social media platform you enter on gets you additional entries. The sharathon will run for 2 weeks, at the end of which, I will draw a random winner, confirm the winner’s contact info and announce it within 48 hours of contest closing. That’s it! Share on, friends. Official rules and disclaimer: Instagram, Facebook and Twitter are not affiliated with this sweepstakes and cannot be held responsible. You can tag new friends and share the post once per day for additional entries. Eligible contestants must be 13+ years of age and must be able to provide a continental US mailing address in order to win. By participating, you are agreeing to the contest rules.